Start out with a few stitches on your needles. The amount doesn't matter, it's best to just practice a little before you start a big project anyways. 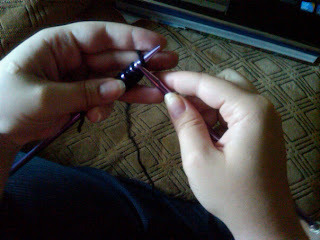 A beginner project that doesn't have any real purpose can be called a "swatch". 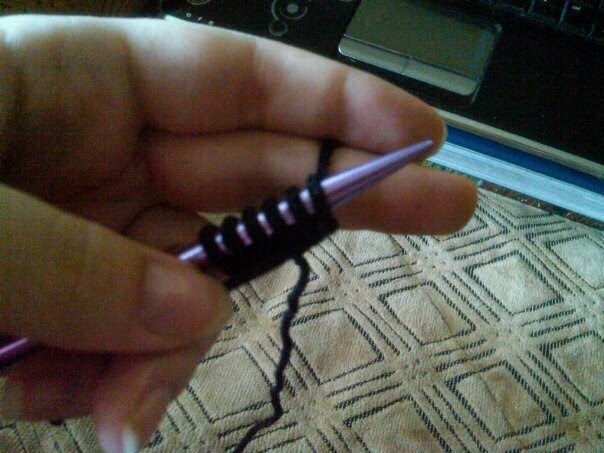 Now on to knitting. 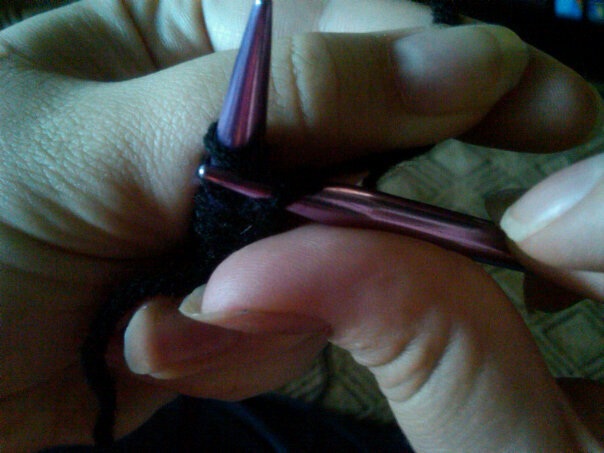 Cast on your desired number of stitches using the method you like or know how. 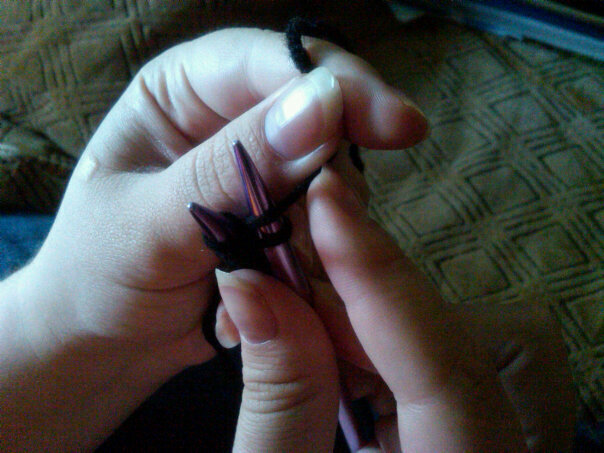 Ten or twenty are good numbers to work with if you're just practicing. 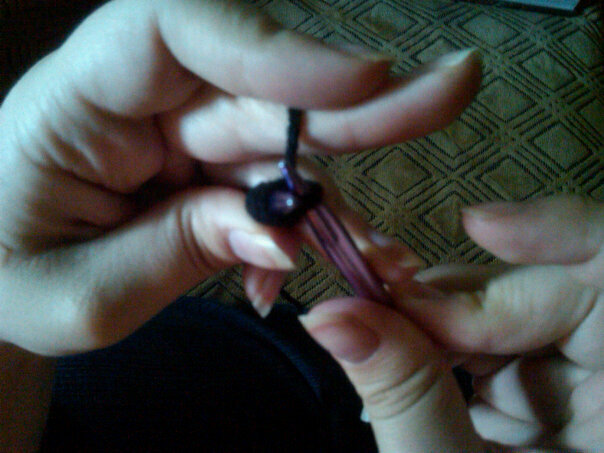 You can see the working yarn dangling down the back of my fingers. 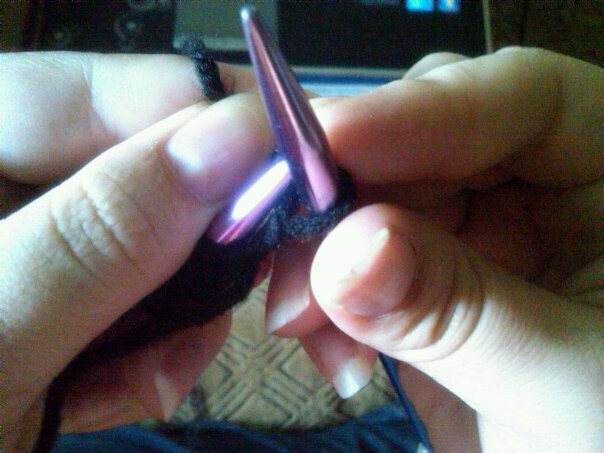 Take the needle and stick it through the stitch, from the left to the back. 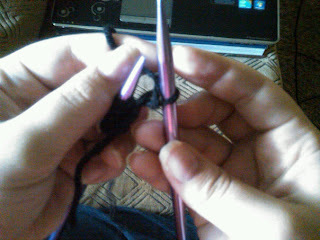 Now take the working yarn and "grab" it with your needle, pulling it through the stitch. Take the newly made stitch and slide it off the first needle on to the second needle. Congratulations, you have made your first knit stitch!